What if you could learn how to make your schedule flow with the schedules of everyone else’s in your home?That’s what ‘How To Get Organized in 24 Hours’ is all about. 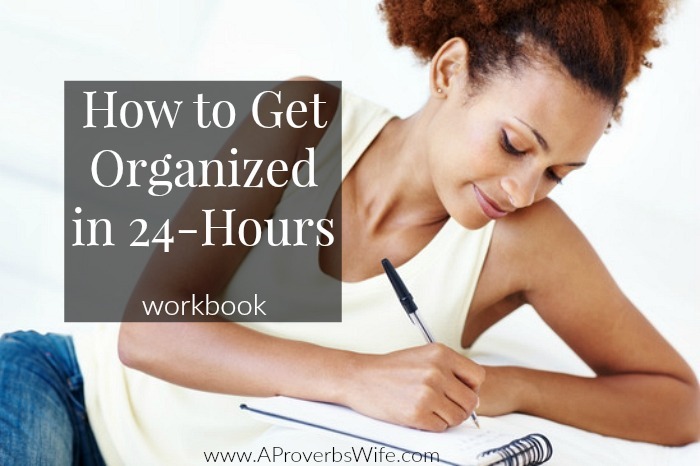 How To Get Organized in 24 Hours' is a hands on approach to an organized lifestyle that goes beyond the external roadblocks of organization and takes a look at the on the heart issues required for an organized way of living. "How do you do it all?" is the big question I'm often asked. I don't do it all but I am organized at what I am able to do. Organization is the key to managing my home, family and two business run by my husband and I. What if you could learn how to make your schedule flow with the schedules of everyone else's in your home? That's what 'How To Get Organized in 24 Hours' is all about. It's a hands on approach to an organized lifestyle that goes beyond the external roadblocks of organization and takes a look at the on the heart issues required for an organized way of living. In writing it, my goal is to help you become better organized by first focusing on the ideas and habits that are preventing them from being organized. is designed to challenge you. is designed to encourage you. is designed to inspire you. is meant to help you create and organized way of life. Understand why you haven't been able to get organized. Learn vital tools about organization that will help you put together a customized organized plan for yourself or others. Find greater simplicity in your daily activities by focusing on specific tasks. Be intentional about delegating task to others without the feeling of guilt. 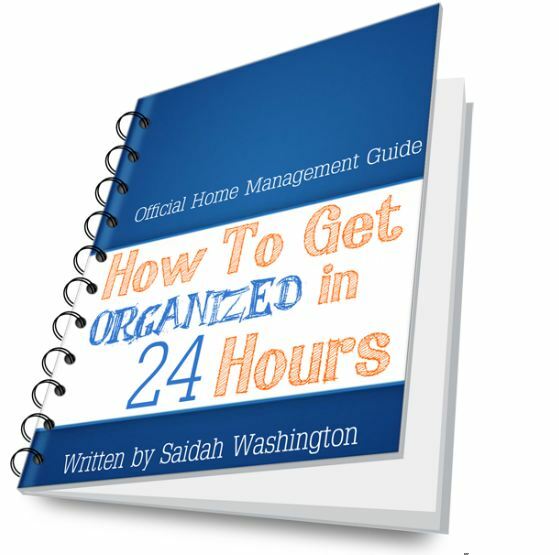 PURCHASE You can instantly begin reading How to Get Organized in 24 Hours by clicking on the "add to cart" button. If you are a blogger who'd like to receive a FREE copy of my eBook for review and 1 for a giveaway please contact me with your blog url and type "How To Get Organized in 24 Hours Review" in the subject line.